Now is the time when a lot of canvassers are out to get your business, and they all have deals. Some are trained in explaining what you need for your roof and others are just appointment setters. There are a lot of things to consider when you are looking for a roofer to replace your asphalt shingle roof. The most important place to start is finding out if they are licensed and certified to install the products that you are looking for. Be wary of anyone who tells you that you need something done, that you yourself don’t have firsthand knowledge of. 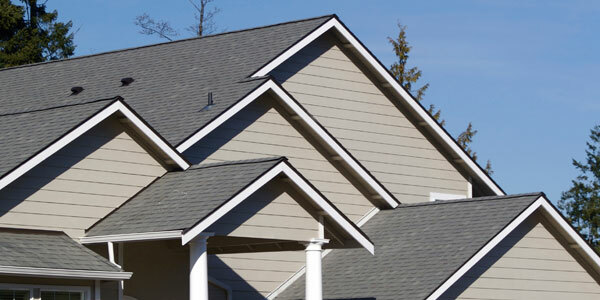 A great roofing contractor will be able to explain all of those words that you’re not sure about, like the difference between fascia and rake boards, and what a drip edge or plumbing vent is. You will want to find out how long the potential contractor has been doing the job, are there any unresolved complaints against the contractor, is there an available supervisor if you have questions while the job is being done, and is the job warrantied and if so how long? In the state of Maryland you can look up a contractor’s license at the Maryland Home Improvement Commission. The salesman’s job is to sell you the job – and they may not be the person who will actually supervise the job once it’s signed. Your contractor should tell you what to expect ahead of time, find out what your needs are in terms of parking of vehicles, HOA requirements and will explain how clean up happens once your old roof is removed. Warranty information should be provided for labor – as well as materials. Material warranties will require the homeowner to register their roofing product, giving the color and number of squares – or square feet which the contractor should provide for you. Roofers will not remove your personal items such as: Christmas lights, lawn furniture, lawn ornaments, wind chimes, mobiles and other decorations that you may have hanging from your home. You will also be asked to move any vehicles parked close to the home if you are using a driveway – or have limited parking so that the roofers are able to access your property, and the roofing material can be delivered. Most often the roofing material is a roof top delivery unless there are trees or other structures blocking delivery. Keep in mind there may be an extra charge if the roofer has to manually move bundles of shingles to the roof. There are a few other things to consider – if you have a super large roof with variable pitches, figure 2- 3 days to finish the project. If you have a townhouse under 2000 sq. ft. or similar sized home – then you should be done within a day. Roofers will show up between 7 and 8 in the morning. They do not work during extremely windy days, at temperatures below freezing and over 90 degrees, and during threats of extreme weather or rain. If they are replacing OSB, or FRT sheathing, it is not uncommon to ask to receive pictures of the replacements if you are not home, or an explanation of what needs to be replaced before the work is done. Noonan Construction uses CertainTeed Roofing Products – and our distributors are great with providing addresses of homes where their product color schemes can be found. They also have a wonderful educational website – which aids in making decisions re: color choices if you are changing an existing color which is CertainTeed Color View. We are also certified GAF installers.